Although we see King Finehair complain to Lagertha the one thing I don't understand is why he did this to Lagertha. Lagertha knows Ragnar will come up with a plan but also knows King Finehair is right about that someone must pay. He really showed his different faces today. There are so many things in that episode that give me a lot of thought, though. King Finehair knows that he didn't have to do that to Lagertha and even the slithering mood he has towards Ragnar when he told the plan. In the one he is trying to convince Lagertha that someone needs to pay for this defeat, however, he is convincing Ragnar he did a great job. I don't know about you but King Finehair is someone we cannot trust. I agree with Bjorn that this defeat weakens the Lothbroks in general. And if looks could die Bjorn wouldn't be there anymore. The dead is something role leading in this episode although we don't know what is yet to come. The dead foreseen by Torvi is something to think about as well is it foreseen or is it just a dream. That brings me to the treason of Count Oddo. Although the Emperor wants to reward Oddo for his part of the retreat of Ragnar and his army Oddo wants to rule out Rollo because it was a feud between the brothers. That Christianity is a joke to Rollo we have seen in several episodes in season 2 and 3. But this season I doubt that we see major changes to Rollo since he had his destiny by the seer. Oddo orders the arrest of Rollo before he can raise an army or escape Paris. What happened next to Oddo is that he commit high treason and taken care of by Therese first who ask him to turn the roles between them. He got a well-deserved punishment from Roland. Rollo is becoming a dad, Gisla announced her pregnancy to her father the Emperor at the meal. After the meal, we see the Emperor take the Iron hand of Frankia and gives it to Rollo. 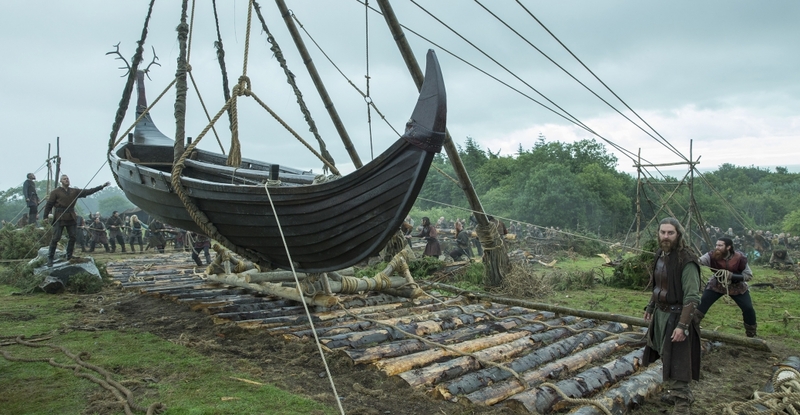 Ragnar has a genius plan when he comes to lift the boats carrying them around the defence towers and then drive upstream to Paris. 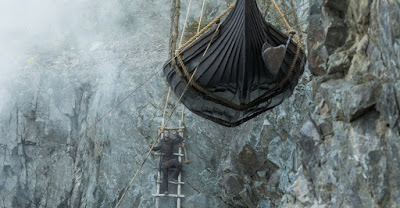 If Floki agrees to build the lifts and the carriage of the boats the problem of being defeated gone by Finehair and Halfdan. We see also that Helga is alive. She tells Floki not to die. While camping on the mountain there is a little beach on that beach we see Yidu and Ragnar while Ragnar wants medicine from her he threatens her. Yidu, however, wants to betray his secret. If she ever were a princess we know now that she won't live long if you betray Ragnar like that. 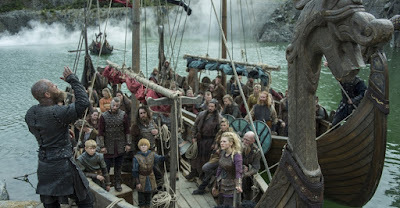 Ragnar drowns her in front of his own children.